In thinking back on the origins of the Futures of American Studies Institute, The School for Criticism and Theory (SCT) at Northwestern University, for me, was a focal moment. It shifted my sense of my project, what I sensed should take place either in the classroom or in study. Because it was so important to my own thinking, I wanted to see to it that the institution would be continued. Along with Steve Nichols, we persuaded the powers that be at Dartmouth, in 1986, to bring the SCT to Dartmouth. I was the liaison to the SCT in its initial year, and continued to take courses and work with the school throughout its ten years at Dartmouth. When the school went to Cornell, I started an American Studies Institute at Dartmouth that built on the strengths of the SCT, but condensed it to one week [from six weeks]. A lot of graduate students didn't have the money or the time for SCT. I also wanted to address the weaknesses of the SCT; it was so intent on inculcating the knowledge produced by the plenary speakers and the six-week instructors that the graduate students didn't have their own work analyzed, thought about, and discussed. So I introduced a change in the structure. I brought in plenary speakers who represented wildly different disciplinary formations, and linked that with seminar sections in which the work of each one of the participants is considered as important as that of the plenary speakers. We spend an hour to an hour and a half discussing the work of each participant, and I think that is very important, especially now, for graduate students to be exposed to a network of scholarship that can help them on the job market. Our vision for the Futures Institute is to present students with the highest quality scholarship from leaders in the field, while simultaneously providing a forum for the discussion of student work that brings these academic leaders and students into a shared space of mutual inquiry. "Writing my dissertation prospectus two summers ago, I struggled with a seemingly fundamental question: what makes my dissertation an “American Studies” project? To drum up an answer, I attended The Futures of American Studies Institute at Dartmouth College. The Institute, spearheaded by Donald Pease, is a vibrant intellectual site that nurtured many of the publications and articles we treasure. I had an absolute blast (mostly at the afterhours nerd parties), and I recommend it to anyone who has a lot of intellectual generosity and conference endurance. The Institute is a week-long program filled with morning, late afternoon, and evening talks by exciting scholars from all around the globe. I had the pleasure of listening to scholars for whom 'America' was tentative at best – as a nation-state with disciplinary technologies that bear on its subjugated peoples; as a coercive idea with a discursive boundedness that always threatens to destabilize. This American Studies reflects the pasts and presents that dissent to an exceptionalist story about 'America.​'"
"Thinking in Real Time" at the Institute: "So I'm at the Dartmouth Institute for the week, in my dorm room at the moment, furiously typing at 2:30 AM. This makes sense. There's so much to think about with 2 plenary sessions a day (6 presenters in total) and a seminar in the afternoon that meets weekly. It's only the second day and I've been so inspired by the talks I've heard that I think it's worth scribbling up some things that have immediately struck me so far--I can't turn off my thinking cap and feel compelled to write thoughts down, spit them out on my blog as a way of processing all of I've heard thus far." Cheryl Spinner, Futures Participant, Blogger, @electricladyzap. "The Institute, which takes place every summer at Dartmouth College, is a lively week jam-packed with plenary lectures and grad student workshops. It's a great place for grad students to connect with top-notch scholars from around the U.S. and Europe, receive feedback on their own work, and generally take the pulse of the field. Sleep is optional. This year, a sizable crew of us tweeted the plenary lectures, which allowed us to share notes and discuss tangents while talks went on." Mai-Linh Hong, Futures Participant, Blogger, @FleursduMai. "The intense academic experience of the Futures Institute has been immensely valuable for my development as a scholar. A wide variety of lectures has given me a glimpse of the freshest thinking being done in the field of American Studies, and a chance to meet and talk with leading scholars whom I might have seen only from afar at larger conferences. Stimulating seminar discussions have challenged me to become a more responsive colleague and to situate my own work more effectively in an ongoing critical conversation. I feel confident that I'll carry my network of friends, mentors, and intellectual fellow travelers well beyond those summer days in Hanover!" 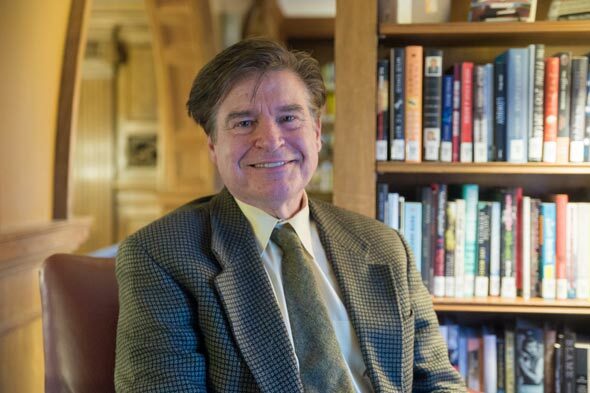 "At the Futures of American Studies Institute, Donald Pease and Elizabeth Dillon have created a space of intellectual vitality that is absolutely unparalleled. The plenary lectures, given by internationally renowned figures in the field American studies, were a continual source of energy and inspiration. Yet what was truly remarkable about this Institute was the sense in which it was more than simply a collection of brilliant individuals. Through a seminar structure that actively engages participants and plenary speakers alike, the Institute invites each participant into the discussion of the state of American studies, insisting that each participant share the work they hope to contribute to the futures of this field. The result is the building of a community that is supportive yet challenging, in which each person is invested in helping others rethink their ideas in exciting new ways. This community has given me a completely new and valuable outlook on the work I do, and upon the ways this work intersects with the larger field of American studies. It was one of the best educational experiences I've ever had, and I only hope I can continue to be a part of the community this Institute has fostered in the years to come." "The combination of intensive workshops devoted to each participant's work in progress, a dizzying array of fantastic plenary speakers, and the general atmosphere of intellectual fecundity that pervades the Institute sets it apart from all other academic gatherings, providing a serious workspace for critical discussion and exploration that is far greater than the sum of its parts. For all of its strengths, the single greatest virtue of the Futures Institute is its capacity to produce in every one of its participants an experience of intellectual euphoria that ultimately manifests itself as a kind of productive exhaustion." "The Futures of American Studies Institute is one of the most vibrant and challenging intellectual spaces for critical thinking in the American Academy. Bringing together scholars from many different countries it facilities conversations and sharp exchanges between them through a series of plenary lectures and debates. For the graduate student, the Institute is a place where one can, in a non-competitive atmosphere, get feedback both from peers and leading scholars in different fields. I cannot think of a better place to spend a week in intense intellectual conversation."